First detective agency is India’s leading and paramount detective agency that provides their client’s secure, fast, and accurate access to the latest income and employment verification information. FDA offers their clients all kinds of investigative services under a single roof with the help of advanced technology and a well experience and highly skilled team of professional investigators and detectives. First detective agency conducts an employment verification process to determine employee’s loyalty and background details. First detective agency has built an extensive and trustworthy customer support. Clients rely on FDA’s employment verification services because it ensures most effectual, fully auditable verification which minimize risk associated with sending inappropriate information. Employment verification is important as it confirms whether the employee is currently working for a company or not. It is based on employer’s review of documents of the new employee that confirms an employee’s identity and work eligibility. However due to increasing fraud (use of counterfeit documents) and identity fraud (fraudulent use of valid documents or information belonging to others) have made it difficult for employers who want to comply with the employment verification process to hire only authorized and suitable employees. Therefore, first detective agency executes their employment verification service by conducting private investigation as per your demand. FDA agents through their employment verification services contact your former employers in a professional and discrete manner. Once they conduct the call they will then create a report outlining the results. 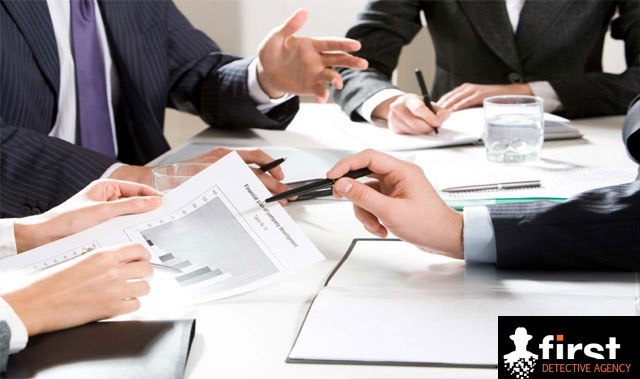 This report will then be provided to the client in their choice of formats. It can be emailed, faxed or sent through the postal service, depending on their choice. To verify whether the candidate has been convicted of or arrested for any crime. FDA conducts a criminal record verification process and checks whether an employee has not committed any crime and has no offense of civil litigation. The investigators of first detective agency through their employment verification process will make a visit to the police station to confirm whether the employee’s name has been mentioned for any criminal offense in the police records. Details Covered in Final Report The final report prepared by FDA agents will comprise the details about the address verified, address of Police Station covering the jurisdiction of residence, name & Designation of person met in Police Station and feedback obtained. Education verification is mostly done to verify employees’ degree, certification, training and educational claims. Educational verification is vital as it confirms that the certificates and credentials provided by the applicants are all true. FDA agents assist in authenticating academic credentials such as degree/diploma by contacting the educational university verifying candidates’ records. The investigators of First detective agency ensure that the employee is punctual and disciplined. For that they execute an on line access and reporting verification process. They determine the general conduct of the employee in professional work setting-whether an employee is reporting on time or is habitually late to work. They carry out this investigation by visiting previous work place or office and interacting with other employees thereby gathering information about the work conduct of the client. Alcohol and drug abuse is one of the major problems in workplace environment. In order to cope up from work stress employees are often found indulging in alcohol usage that may disrupt the work setting and can result in low productivity, absenteeism, fatalities, low employee moral etc. Thus, in order to avoid this FDA agent’s verifies employee’s medical reports to confirm whether the employee is an alcoholic or not through their workplace drug abuse verification process.